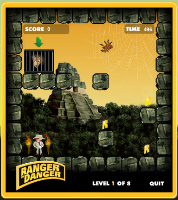 Do you have what it takes to be a Ranger in Danger. Find out and play the game. Click here! Ranger in Danger series Out April 2010!